1. Comments may be moderated so please be patient if your comment does not show up immediately. 2. Comments will not be allowed by anonymous individuals. You must register on this site in order to comment. 3. Comments which contain profanity, personal attacks, name calling or other inappropriate language will be deleted. 4. Any comment assumed to be spam will be marked as such. 5. Finally, due to my schedule, I may not be able to respond to every comment. But I do appreciate your feedback so please keep it coming! "Youth groups are harder to speak to than the average Sunday congregation. I learned this recently while speaking to some students. After talking for about four minutes, I noticed that there was a kid asleep in the crowd. And not just a little asleep, he was sprawled out. Teens will fall asleep if you don’t bring it instantly. They also won’t fake laugh. Adults will give you “courtesy laughs.” Not teenagers. If it ain’t funny, they ain’t laughing. Teens, in a good way, make you work for it." I encourage you to read the post on Stuff Christians Like on youth pastors here but also read the comments. It contains dozens of people thanking their youth pastor and is quite moving. Even though I did an internship working with youth before joining the staff of Campus Crusade for Christ, that was hardly where I thought things would be headed if you were to have asked me in high school. Even though my family faithfully attended church on Sunday mornings and my parents set a good example for me, I was fairly ambivalent in my relationship with God. I never read the Bible, I often fell asleep in church and I rarely, if ever, talked about God with my friends. Shortly after going away to college at Central Michigan University, I began to have a lot of questions about God and whether Christianity was all that I had been taught. In fact, I came to what author Henry Blackaby calls a "crisis of faith." I didn't have much of a relationship with God and had become discontent with life. I even began to consider other faiths and, as happens with many a college student, even thought about ditching formal religion altogether. But fortunately for me, God had other plans. My youth pastor from high school, Gary Lundstrom, had kept up a relationship with me. Like many youth pastors, Gary was pretty cool. He rode a motorcycle. He lifted weights and could bench press more than anyone I knew. And he loved God. But not in an awkward kind of "this guy's weird" kind of way. Just a normal guy that lived for Jesus. Gary regularly wrote to me while I was at CMU and gave me a gift subscription to a magazine that featured Christian athletes. When I entered that crisis of faith during my sophomore year, he sent me a couple of books to read. Remarkably, God used one of those books to bring me into a relationship with Himself. I committed my life to Christ right then and have not looked back since. Gary was not the only person that had a strong spiritual on my life. My parents, as well as a few others, also had an influence but at that moment in my life, God used a youth pastor to change my life. Gary's a big wig with Samaritan's Purse now and is still showing God's love to hurting people. But I'm very grateful that God used a normal dude that loved Jesus to radically touch my life. I thank God for Gary Lundstrom and all youth pastors everywhere that lay down their lives everyday so that young people can have a relationship with God. For many within the United States, the election of Barack Obama as President in November 2008 brought with it the realization of what the mainstream media coined a "post-racial America." This assertion, they claimed, was not unfounded given that a black president was now sitting in the Oval Office and Americans had finally been able to get beyond our uneasy history with race. Unfortunately, this doesn’t seem to be the case. The recent fiasco involving Shirley Sherrod demonstrates that we are far from being a post-racial country and that long-standing feelings about race seem determined to stick around. Ms. Sherrod, the head of the Department of Agriculture’s office in Georgia, had been videotaped at an NAACP event this spring in which she appeared to have not given fair treatment to a white farmer. The video clip was posted by a conservative blogger and picked up by Fox News. Both the NAACP and White House moved swiftly and she was fired from her job. But once the complete video of Ms. Sherrod’s message was shown, it was evident that her message was actually one of being able to move beyond race to treat people fairly. Her comments had been deliberately taken out of context, most likely to embarrass the NAACP in response to their recent accusations of racism within the Tea Party movement, and those in positions of power and influence immediately jumped in the fray before considering all the facts. When it comes to race, this seems to be par for the course. Because our history in regard to race is so troubled and since most of us have strong feelings about matters of race, it is easy for us, too, to form assumptions before we know the facts. It amazes me how those that have never personally experienced the sting of racism to be so quick to dismiss it anytime accusations of racism are made. Of course racism still exists, we say, but we never seem to be able to point to any legitimate examples when the issue is raised. That is, of course, unless it is we white folk that are the supposed victims and then we are quick to play the race card. On the flip side there are those that claim that people of color cannot even be racists since they are rarely in positions of power and, even when they are, the institutions of our nation are still set up against them. There are even those that have made a living off of racism and their supposed desire to eradicate it. Race is a hot topic and you earn some decent pay by keeping it in the public eye. For the record, I do believe that any of us, no matter what our ethnicity, can have racial prejudices and biases and even have the potential for racism lurking within our heart. Racism is sin and all of us have the potential to sin in this manner. And because we have been nurtured in a society that has been so shaped by race, I believe that nearly all of us have some sort of racial biases (whether we can admit it or not). "In fact, the debate over whether certain ethnicities can be racist in the first place makes me think we’re getting distracted from our history. Maybe what we should be talking about isn't just racism, but white supremacy. That is — the belief in the superiority of white males, which led previous generations to occupy other peoples’ lands and homes, to segregate, murder and enslave Indigenous people, as well as people of African and Asian descent (to name a few). In recent years, plenty of whites have aired concern about "reverse racism." But unlike racism — and white supremacy — such so-called "reverse racism" isn't rooted in history. Fears of "reverse racism" suggest that people of color seek to do to white people what was done to us. Efforts to give black women equal job opportunities, though, aren't designed with the goal creating white male unemployment. Giving a child of color an education that represents their culture isn't an attempt to create an underclass of white children. Even assuming Mexican-American racism toward whites were possible, it would be based on opinion, not on centuries of Mexican-American violence toward whites." I believe that Lozano’s point is well-taken. But, no, I don't think it is fair to paint all white males with a racist brush but I think Lozano's assertion is that our shared history needs to be taken into account when examining the topic of race and this is not just a black and white issue (pun intended). It is up to each of us to examine our own heart and to question whether our views on race have been formed by actuality or perceptions? For those of us in the majority, we need to question whether we give sincere regard to people of color when they feel they’ve been unjustly treated. For those that belong to ethnicities that have been traditionally discriminated against, there needs to also be given personal examination as to whether race gets injected into situations needlessly. Anytime we throw out accusations of racism, it is like we are playing with a loaded gun in a crowded area. We don’t know who will be wounded or what the repercussions will be. Racism is not a toy to be played with on a whim when we’re looking for something to pass the time. When given full vent, it has the power to destroy and maim and take lives. Although there have been people groups that have experienced racism’s toll more acutely than others, anyone can be its victim given the right circumstances. We need to ask ourselves if we seek to address the sin of racism in order to bring healing or do we use it to keep anger and hatred and division alive? One of the best ministry opportunities that The Impact Movement and Campus Crusade for Christ offer are our summer mission trips. These trips provide students the chance to grow in their relationship with God, gain valuable ministry experience and reach out to those in the communities in which these trips take place. This summer alone, Campus Crusade, along with Impact, sent over 3,500 college students to 220 locations throughout the world. 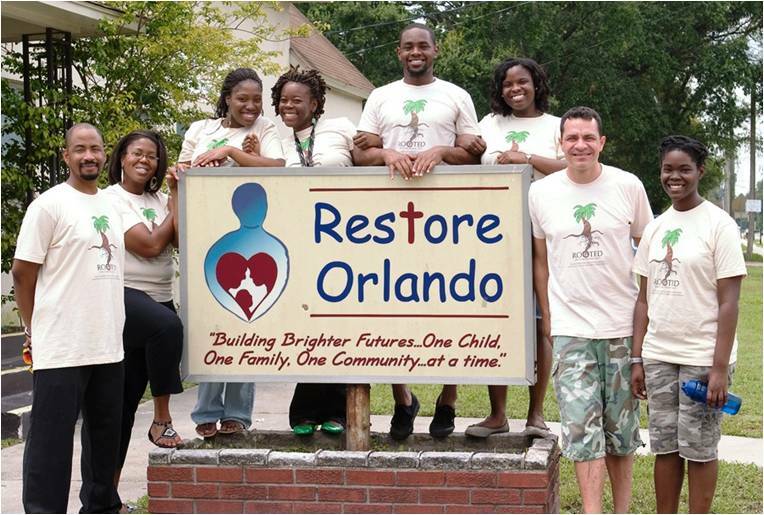 "Four African American college students from across the nation are tutoring children this summer in the Parramore area of Holden Heights with the community center Restore Orlando. The students – representing Carroll University, North Carolina State University, Rice University and Rochester Institute of Technology – are part of The Impact Movement’s summer internship program, based at the organization’s headquarters in Orlando. Impact is an international ministry of discipleship, evangelism and service that envisions each community of African descent fulfilling its destiny as a reflection of the redemptive power of Jesus Christ. The ministry includes a campus, community and world focus, and has a presence on more than 100 U.S. colleges and universities. Serving weekly in the local Orlando community is part of the Impact internship experience. The students, along with Impact staff members, serve Wednesday afternoons at Restore Orlando’s summer program tutoring elementary children in math, doing arts and crafts, and playing indoor and outdoor games with them. Donavan Jackson, a rising college sophomore, shared, "We are planting in them a vision of things that can happen in the future for them," he said. "I really want to stand out to the young. Just show them the way respectable young men can grow up to be." Dr. Charles Gilmer, President of Impact, explained reaching the African American community is so important because, "There is a desperate need for people who will take what they learn and will want to go back and give back to the community." Gilmer also shared each Impact college chapter will be encouraged this year to recognize a student community outreach coordinator. There will also be a national campaign for students to regularly tutor a child as an expression of Impact’s commitment to the community. Restore Hope (RH), founded in 1992 by members of the First Church of the Nazarene, is a strategic place for Impact to partner and serve. According to its web site, the area serviced by the mission is roughly comprised of 89 percent African Americans, 8 percent Caucasians and 3 percent Hispanics. 80 percent of the children come from single parent homes, many are in the legal custody of a grandparent and a large percentage receives federal lunch programs, which is a poverty indicator. David Washington, staff member with RH for four and a half years, sees the effects of these statistics in the lives of the children daily. "They need help, love and hope," he said. "Jesus met people in need and we should be willing to do the same." According to authors Po Bronson and Ashley Merryman, one of the best ways to raise children that don't value friendships with kids that are culturally different than them is to never talk about race. Bronson and Merryman's book, NutureShock: New Thinking About Children, examines commonly assumptions about how parents talk to their children about race. "What Bronson and Merryman discovered, through various studies, was that most white parents don’t ever talk to their kids about race. The attitude (at least of those who think racism is wrong) is generally that because we want our kids to be color-blind, we don’t point out skin color. We’ll say things like “everybody’s equal” but find it hard to be more specific than that. If our kids point out somebody who looks different, we shush them and tell them it’s rude to talk about it. We think that simply putting our kids in a diverse environment will teach them that diversity is natural and good. * The more diverse a school is, the less likely it is that kids will form cross-race friendships. * 75% of white parents never or almost never talk about race with their kids. * A child’s attitudes toward race are much harder to alter after third grade, but a lot of parents wait until then (or later) before they feel it’s “safe” to talk frankly about race." What Bronson and Merryman have found is something that I absolutely agree with. For those of us parents that want to teach our children about equality, it is important that we talk about race. By living in an American society that has been so formed by racial dynamics, we do our children a disservice if we don't address why things are the way they are. But in talking about race, ethnicity and culture, we can talk with our children about the beauty that exists within our diversity. Many well-meaning parents, especially those of us that are white, never help to educate our children about race. We are uncomfortable in talking about it so our kids our uncomfortable talking about it. And in the process we can unwittingly raise children that are blissful in their ignorance. As they get older and interact with those of other cultures, they are likely to say insensitive, rude or racist things without even intending to because we, as parents, never discussed these things with them (see above photo). Based on my experiences, evangelical Christians can create some of the biggest blunders when it comes to addressing the topic of race. In addition to talking about race with our children, we as parents who see the value represented in the diversity of God's creation can help our children to value cross-cultural friendships by having these kinds of relationships ourselves. If our children never see us in friendly interactions with those that look different than us then it will be hard for them to value these types of friendships themselves. If they never spend time in the homes with those of other ethnicities (or vice versa), then they likely will not develop these cross-cultural friendships on their own. The task of parenting is not an easy one but the things that are most important (namely how we view God and others) should not be left for others to educate our own children about. The most valuable type of education takes place in the safety and nurturing environment of the home. And because race plays such a dominant role on so many levels within American culture, this topic certainly needs to be addressed by parents. According to a new study by the Oxygen Media and Lightspeed Research company, there are some disturbing trends developing as it pertains to young women and their relationship to Facebook. The study found that of women aged 18-34, at least 1/3 of them check their Facebook account before they do anything else in the morning. 42% of women age 18-34 think it's okay to post photos of themselves while intoxicated. 21% check Facebook in the middle of the night. 58% use Facebook to check up on "frenemies." 50% think it's okay to date those they've met on Facebook (65% of men have no problem with this). 6% use Facebook to "hook up" with others (20% of men do). 9% have used Facebook to break up a relationship they were in while 24% of men have done the same. These statistics demonstrate that women should think twice about the information they post on their Facebook profile, the friends that they meet online and examine whether Facebook has become an addiction for them. "What conclusions can we draw from this data? It’s not just that young women are using Facebook religiously: it’s that they’re very open with what they post and who they accept as friends. Combined, it can lead to a privacy mess." When the numbers concerning how men use Facebook in relationships are examined, there are some shocking realities that come into play. Men, too, are susceptible to the same temptations that unguarded online interactions can bring. Modern technology can be a great tool when used properly, but it also can be used for harm and destruction by those with ill motives. For some helpful tips on how to protect your Facebook privacy, check out these suggestions from MakeUseOf.com. A recent decision by the U.S. Supreme Court could have far reaching ramifications for campus-based Christian ministries throughout the country. The high court found in favor of the Hastings College of Law, which had been sued by the Christian Legal Society, and upheld the legality of its requirement that school approved organizations could not discriminate against acceptance of members when it came to matters of religious belief and sexual practice. I've already written on this matter here, so if you have not already read that post, please take a moment to do so before returning here. From my perspective, what is at issue here is whether religious groups have the freedom to select leadership among those that hold the beliefs of the organization and still remain eligible to receive the same privileges as other recognized student organizations. 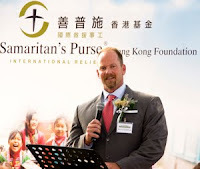 "The church has always had a touch-and-go relationship with civic authorities. Paul's experiences in court were clearly mixed. James and Peter did not fare well with judges either (not to mention Joseph and Daniel). During the first three centuries of the church's existence—as the new faith grew rapidly—public opposition was strong. As the people of God, we believe in a sovereign God. His purposes will be accomplished whatever obstacles present themselves. While Scripture encourages us to pray for our governing officials, we are reminded that this world is not our home. Christ, not Caesar, is our Lord, our hope, and our salvation. If—in the worst case scenario—several Christian chapters were to be de-recognized as a result of this ruling, God's mission on campus would continue. If access to newly arriving freshman were lost, if campus communication channels were closed or if access to university facilities were denied, the gospel would continue to be presented through small groups, Bible studies and off-campus large groups. Though limiting campus access would no doubt make ministry more difficult, God's purposes will not be thwarted." To read the rest of Alec Hill's thoughts on this case, please click here. I hope to write further updates on this case as further developments take place. "Cheap grace is grace without discipleship, grace without the cross, grace without Jesus Christ… Costly grace is the treasure hidden in the field; for the sake of it a man will gladly go and sell all that he has… It is the kingly rule of Christ, for whose sake a man will pluck out the eye which causes him to stumble; it is the call of Jesus Christ at which the disciple leaves his nets and follows him… Such grace is costly because it calls us to follow, and it is grace because it calls us to follow Jesus Christ. It is costly because it costs a man his life, and it is grace because it gives a man the only true life. It is costly because it condemns sin, and grace because it justifies the sinner. Above all, it is costly because it cost God the life of his Son: "you were bought with a price," and what has cost God much cannot be cheap for us." All too often we Christians are known more for the things we dislike rather than the love we show. Even though Jesus told his first followers that they would be known by their love (John 13:35), the self-professed followers of Christ that many times get the most attention are those that are anything but loving. It seems to be the angry, self-righteous folks that get all the attention while the meek and humble that quietly serve others go unnoticed. But it is encouraging to know that some believers in Christ think that love is more powerful than hate and that grace will win more people than guilt. A gay pride parade was recently held in Chicago and a small group of a few dozen Christians decided that they would attempt to demonstrate at the parade. This group, however, went with the motivation of love and weren't driven by hate. They wore t-shirts that said "I'm Sorry" and attempted to show some remorse for how the gay community has been treated by so many Christians. Sadly, most Christians want to run from such a sight rather than engage it. Most Christian won't even learn if that person dancing in his underwear has a name. Well, he does. His name is Tristan. However, I think Jesus would have hugged him too. It’s exactly what I read throughout scripture: Jesus hanging out with people that religious people would flee from. Correlation between then and now? I think so." We don't have to agree with the choices that people make in order to love them. And many in the gay community possess deep wounds from Christians and the Church that has led them away from a relationship with God. Unfortunately, we all fail in our hope to love others well. I know that I'm not consistent in my desire to love others as Christ does and I'm guessing that you're probably the same way. But as we yield to God's Spirit in our lives, He gives us the ability to love others in ways that we are unable to in our own strength. Hate has never changed the world but God's love will. We don't have to compromise our convictions in order to be loving. Jesus was more committed to truth than you or I, yet he never wavered in His love for the broken and hurting. As a follower of Him, I hope that I can live the same kind of life that is more characterized by love than anything else. I frequently fall short of that goal but I will continue to pursue loving others just as Christ has loved me. "If the gospel of Jesus is just some formula I obey in order to get taken off the naughty list and put on a nice list, then it doesn't meet the deep need of the human condition, it doesn't interact with the great desire of my soul, and it has nothing to do with the hidden (or rather, obvious) language we are all speaking. But if it is more, if it is a story about humanity falling away from the community that named it, and an attempt to bring humanity back to that community, and if it is more than a series of ideas, but rather speaks directly into this basic human need we are feeling, then the gospel of Jesus is the most relevant message in the history of mankind."